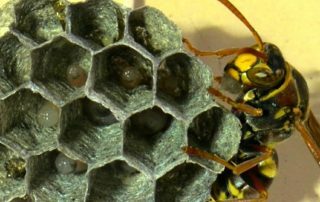 Infestation might be related to wasp nesting sites. When an area has a lot of hollow wood or wet concrete blocks it favors nest formation. The wasps will most certainly be lodged in those places. 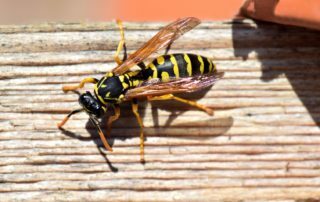 These pests are excellent pollinators of plants and are disappearing due to the elimination of their nesting sites by deforestation.